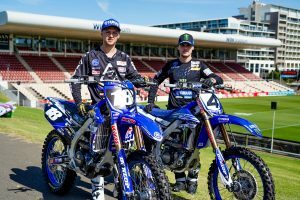 Fox, Alexanderson, Burgess-Stevens, Alsop and Minear make up 2019 team. KTM Australia has confirmed its KTM Junior Motocross Racing Team for the 2019 season, the five-rider line-up to include Blake Fox, Ryan Alexanderson, Jett Burgess-Stevens, Jet Alsop and Kayden Minear this year. 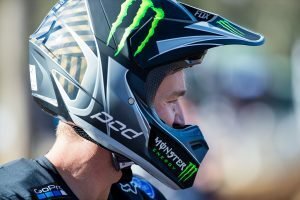 Fox, Burgess-Stevens and Alsop return to the factory team, while Alexanderson and Minear are new to the roster after achieving remarkable results last season. Together, the KTM Junior Motocross Racing Team will be targeting another strong campaign nationwide. New South Welshman Fox will pilot a KTM 250 SX-F and KTM 125 SX in what will be his last year of junior competition. Last season saw the 15-year-old clinch the MX Nationals 125cc Juniors crown and take second in the Rising Star Rookies, plus he claimed ninth in the 125cc Junior World Championship. 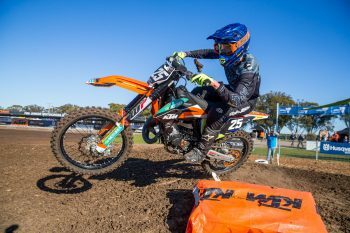 Incoming KTM Junior Motocross Racing Team recruit Alexanderson, 14, won the Mini Lites BW 12-U14s title at the 2018 Australian Junior Motocross Championship, now stepping up to the KTM 250 SX-F and KTM 125 SX for the year ahead. Based in Queensland, he’s recognised as one of the sport’s brightest young racers. Tasmanian talent Burgess-Stevens will return for his second season with the KTM Junior Motocross Racing Team, the 13-year-old riding a KTM 125 SX in addition to the KTM 85 SX BW. After an encouraging showing at the nationals last year, he will be looking to build upon that performance in 2019. Also back for another term, well-credentialed Queenslander Alsop, 12, will focus upon the KTM 85 SX SW this year. He won two Australian championships in 2018, capturing both the Mini Lites SW 9-U12 and 65cc 11-U12 titles in a terrific achievement. He’s also currently ranked number six in the world on the 65cc. Minear is also a current national champion after capturing the 65cc 9-U11s championship last year, earning his place in the factory team to ride a KTM 85 SX SW and KTM 65 SX in 2019. At 11 years of age and from Western Australia, he also placed seventh in the 65cc Junior World Championship. “Last year was extremely successful for the KTM brand in junior racing, including the factory KTM Junior Motocross Racing Team,” said KTM Australia brand manager Tam Paul. “We have two new riders, Kayden Minear and Ryan Alexanderson, joining the team alongside returning riders Blake Fox, Jett Burgess-Stevens and Jet Alsop. “KTM has bikes for every rider in junior competition, from the KTM 50 SX to the KTM 250 SX-F, and we’ve got a spread of riders covering a number of classes, so our bases are well-covered entering 2019. 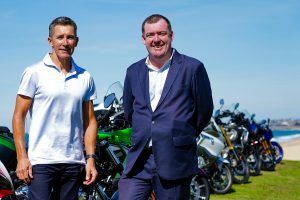 It’s important that we have riders in a number of states and different categories, so we always look to find that balance and I am confident we have a very strong program for the year ahead.